Many NALP members already plan to attend the 2019 Annual Education Conference (April 9-12, 2019), but for those who need to seek authorization or funding to attend, here is some information that should help you make the strongest case for your attendance at the conference. The NALP Annual Education Conference remains the single largest, most comprehensive, and most well-respected educational program in our profession. The content provides much to choose from — over 100 concurrent sessions and 3 plenary sessions — covering all areas of our profession from recruiting and career counseling to professional development, law student PD, diversity management, and more. No doubt you are already aware of the conference’s value; now you may need to communicate this value as you request authorization to attend. The following documents provide important information to make your case for you or other staff members to attend the annual conference. Given the challenges and changes in our profession, it is important to stay on top of current industry trends and best practices and develop and maintain relationships with peers across the industry. For those who need to seek authorization or funding to attend, this document has some tips that should help you make the strongest case for your attendance at the NALP Annual Education Conference. If you need to request support or authorization to attend the annual conference, think about doing it in writing. In addition to reviewing the tips below, you may use and tailor the sample memorandum (download MS Word file here). Outline the benefits of attendance, both to you and to your organization. Estimate with as much specificity as possible the total costs of your attendance, and to quantify everything that is included in your registration fee. As stated above, the NALP Annual Education Conference remains the single largest, most comprehensive, and most well-respected educational program in our profession. Review the full conference brochure (available here in PDF) in detail to gather more of the specifics supporting your request to attend the conference. Costs: Try to estimate all the costs involved, including the registration fee, airfare, lodging, meals, ground transportation, and other miscellaneous travel expenses. Highlight that the conference is a bargain for what is offered: The conference price is a bargain when you consider how much is included in addition to the educational programming – 7 meals and 3 receptions including three breakfasts, three lunches, the Opening Reception, the Regional Receptions, the Diversity and Inclusion Reception, and the Member Celebration, which includes light dinner options. Take advantage of early registration: The “early bird” conference fee for NALP members is $825 and is available until early March. Note that it is beneficial to have members of your staff become individual associate members of NALP to get this conference rate. The conference rate for non-members employed at member institutions is $1075. Individual associate membership in NALP is $195. Your organization enjoys a savings of $55 if members of your staff are individual associate members of NALP, plus they get all the benefits of NALP membership. Overview of who attends the conference: It may be important to provide an overview of who attends the conference. 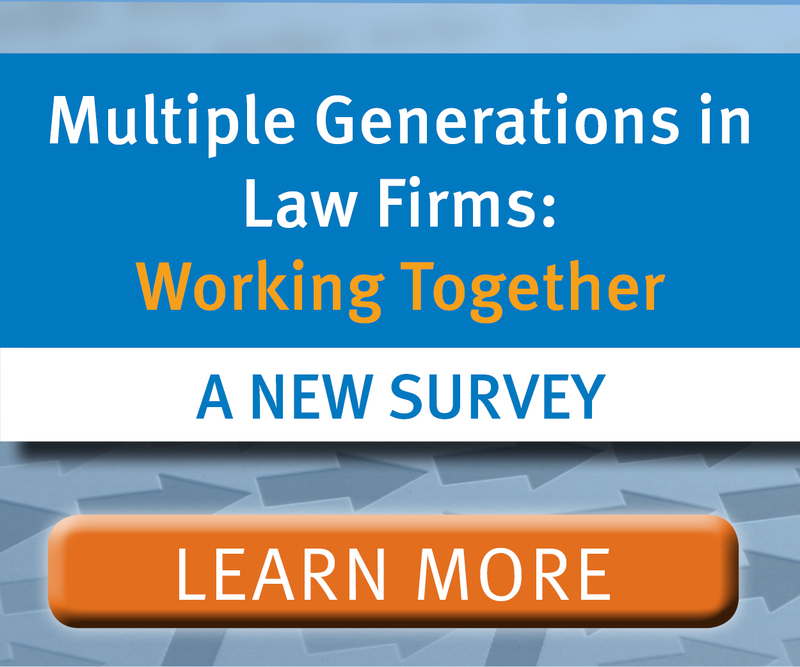 Conference attendees generally include law school and legal employer representatives from across North America, as well as many industry vendors and consultants. 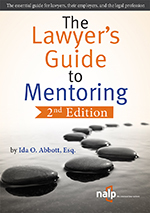 Attendees typically work in recruitment, professional development, and diversity management within legal employer organizations, and in career counseling, recruiting, professional development, public interest advising, and pro bono coordination at law schools. No matter what sort of institution they come from, most NALP members will find representatives of their peer institutions at the conference. 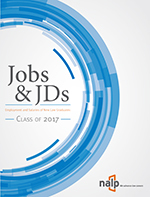 The opportunity for law schools and legal employers to exchange information is invaluable, as is the chance to learn about innovative practices from other peer institutions. Overview of the speakers: NALP conference speakers are a mix of NALP members, consultants, law firm partners, law school professors and deans, judges, CEOs, and other experts. Make a note that the NALP conference features a wide array of speakers from across the legal industry. Benefits to your law school: Be specific about the benefits to your law school as an organization. Identify specific sessions in the conference brochure that you plan to attend, and relate them to current projects and problems that you are working on for the career services office or for your school. Identify specific presenters, consultants, colleagues, or vendors whom you will have an opportunity to meet, learn from, and speak with. For example, at the conference, you will have the opportunity to hear first-hand from the ABA during a special Q&A session. In addition, you will have the chance to meet with and learn from peer institutions on how they are managing the issues you are dealing with every day. Another selling point to your school might be the opportunity to meet with alumni in the city where the conference is located. Perhaps such visits could be added into an extra day of the conference week. Benefits to your legal employer: Be specific about the benefits to your organization. Identify sessions in the conference brochure that you plan to attend, and, if possible, relate them to current projects and problems that you are working on. Identify specific presenters, consultants, colleagues, or vendors whom you will have an opportunity to meet, learn from, and speak with. Highlight the networking opportunities the conference presents, such as the chance to meet staff members from schools or peer institutions with which your organization seeks to develop stronger ties and connections. In addition, if you are at an organization with multiple offices, the conference provides an opportunity to meet with professionals from other offices and have meetings about topics that affect everyone in the organization. Remind your supervisors that even if your organization is not engaged in as much OCI as usual or needs to rebuild its presence on campus after a period of inactivity, maintaining positive relationships is crucial. The conference offers an opportunity to meet representatives from numerous organizations all in one place. Professional development for you: Relate the conference content to any goals you and your supervisor have set for your own professional growth. List any skills or knowledge you expect to gain or develop from attendance. If you are a lawyer, you may want to indicate that the conference provides an opportunity to earn CLE credit. Opportunities for Extended Workshops: There are opportunities for extended workshops at the conference on the topics of coaching, #Metoo, and Mental Health First Aid. Coverage for your responsibilities: Depending on how your office is staffed, it may be important to think about, and even document, how your responsibilities will be covered while you are gone, or how you plan to stay on top of your responsibilities while you are away. After the conference: Think about and explain how you intend to gather and then share information when you are back from the conference. You may want to offer to brief deans or partners on the conference highlights, as well as prepare summaries of particular programs or share handouts from specific sessions with other staff members on your team. Consider scheduling a time afterward for a short presentation and Q&A to your colleagues on lessons learned. When you implement ideas gained from the conference, be sure to let others know. Figure out whether it makes sense to make your best case in person or in writing. In either case, don’t put it off — asking early will demonstrate how important this is to you, provide time for handling questions, and allow you to take advantage of “early bird” registration fees, advance purchase airfares, and the discounted conference hotel rates.